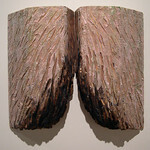 Home » Galleries » Past Shows » 2007-2008 » Kristin Wigley-Fleming Fine Arts Gallery, Center for the Arts » "Earth Texts"
"Aesthetics of Form and Design"
"The Luther College Fine Arts Festival"
Kristy Deetz, currently an associate professor of painting and drawing at the University of Wisconsin—Green Bay, received her BFA from Bowling Green State University in Bowling Green, Ohio and her MFA in painting and drawing from the Ohio State University in Columbus, Ohio. 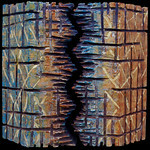 She has taught painting and drawing at a number of universities and art schools over the past twenty years (including Michigan State University and Miami University) and given numerous encaustic painting workshops at universities and art centers (including Anderson Ranch, OxBow, Penland, and Idyllwild). 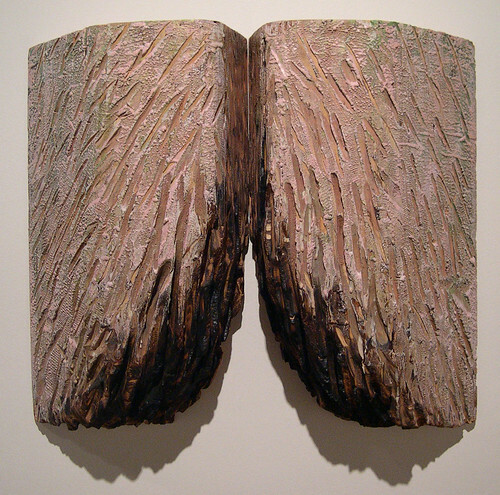 Her extensive exhibition record includes competitive, invitational, and solo exhibitions throughout the United States. 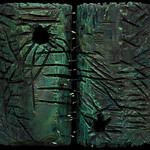 Her recent encaustic and oil paintings (with carved and burned surfaces) revise traditional images of drapery and still life and explore how image and process reveal and conceal substance (the body) and spirit. 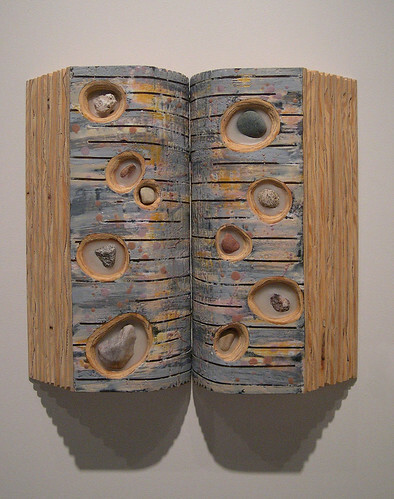 Constructed from laminated frames of plywood (carved, burned and painted with encaustic), her ongoing "book" series are visual metaphors of the book form as well as autobiographical explorations. Playing off of concepts like palimpsest, aporia, and table of contents—these pieces operate in one sense as visual puns and connect ideas of language to both body and earth. 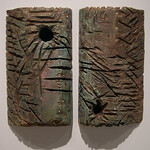 "Earth Texts comprises a series of wooden relief sculptures (carved, burned and painted with encaustic) that create visual metaphors of the book form as well as autobiographical explorations. Playing off concepts like touchstones, table of contents, and abridged—these pieces operate in one sense as visual puns and connect ideas of language to both earth and body. 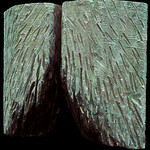 Through interplay of forms each piece seeks to explore what we know or how we behave. 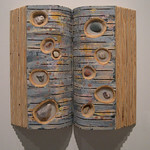 Books embody text, and the "text” connects internal and external landscapes in a search for answers to human dilemmas. 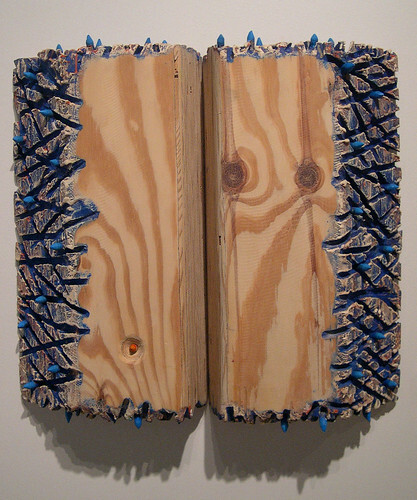 The plywood represents nature destroyed; construction of the art piece from the plywood represents nature re-empowered or its pattern again disclosed. Thus natural phenomena become metaphors for my own (body) existence. 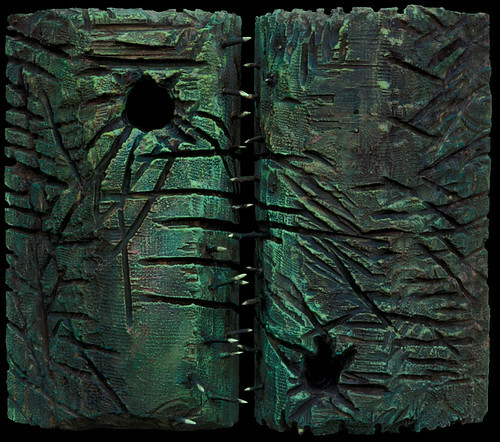 The tactile paint surface, created through layers of encaustic (wax and pigment), serves as “skin,” unveiling greater complexity beneath. 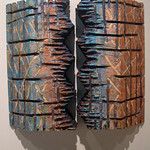 Like books, these pieces request a reading, and the layers of text allow layers of interpretation. For instance, Abridged contains layers of marks that create a metaphorical topography of the earth—land cut apart by natural or cataclysmic forces and then bridged together again. 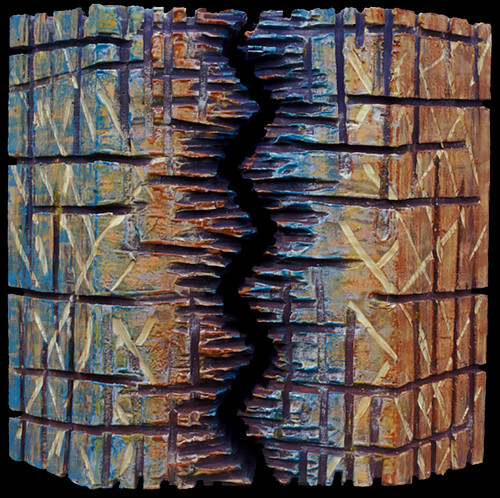 It is also a close view of a pilose and injured body or injured people, torn apart but then reconnected again in a process of healing. 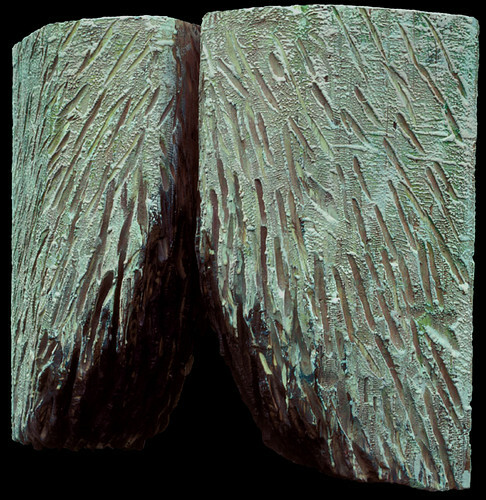 The surface of the piece reveals or conceals layers of marks, at one point exposing the natural marks or grain of the wood, comparing the meaning and permanence of nature's marks with those of human marks. The book pieces cover and uncover, complicate and clarify, connect and separate. Touchstones displays a variety of stones; they offer the viewer a number of standards by which to judge something. Stones partially revealed and concealed in beeswax serve, as would pebbles in a brook, to illuminate our own stories that often parallel processes or “stories” in nature. 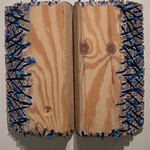 Table of Contents presents the carved away "guts" of the piece. 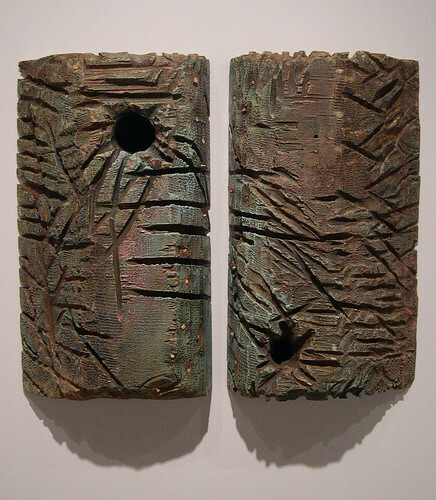 Although inspired from nature, the contents is no longer physically connected to the tree (nature) that was its source but remains as a product of thought and in a larger sense culture—presenting and contemplating an essence that could either be swept away or be used as a source of inspiration to ignite the imagination. The “contents” also involve personal disclosure, honest yet fragile. Aporia, is the gap between "texts"—a term referring to a condition of doubt generated by equal evidence for opposed conclusion. 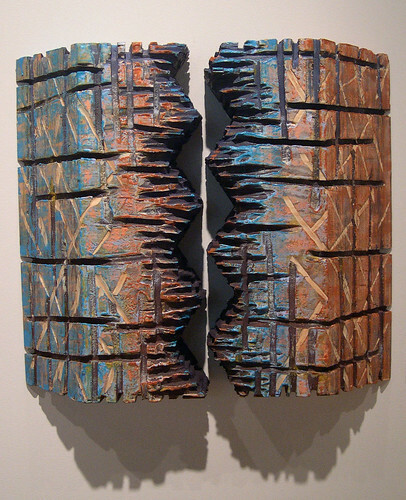 The jagged edges of the two halves seem at first as though they might fit together, but upon closer examination one notices the impossibility of junction."